The Indian Institutes of Technology (IITs) have ended the first phase of the final placements on a high note, with several wrapping up the process much earlier than the previous years, apart from clocking a 10-15 per cent rise in the total number of offers received. The final placement process at some of the IITs has seen a record year, in terms of the total number of offers bagged. For instance, while IIT-Madras attracted 888 job offers from 195 companies, taking the total tally, including pre-placement offers, to a record 1,024, against 1,019 last year, IIT-Delhi secured 1,122 offers so far (including pre-placement offers) from 361 companies, an all-time high at its campus. Offers have typically risen at the IITs in the range of 10-15 per cent. At IIT-Kanpur, compared to 750 students being placed last year in the first phase of the final placement process, 845 students were recruited this year - a rise of 12 per cent. The growth in offers has also been complemented by a rise in the average cost-to-company (CTC) packages such as that at IIT-Kanpur at Rs 1.5 million per annum, compared to Rs 1.2 million per annum last year. The average CTC this year at IIT-Bombay was roughly Rs 1.7 million per annum, while the highest domestic CTC was Rs 4.5 million per annum, apart from the highest international CTC of $164,000 per annum. The IITs, especially the older generation, conduct their final placement process in two phases, with the first phase starting from December 1 till the middle of the month, depending on how soon the students are placed. The second phase of placements begins in the middle of January. The surge in placement has come on the back of increased participation from core engineering and manufacturing sector companies. 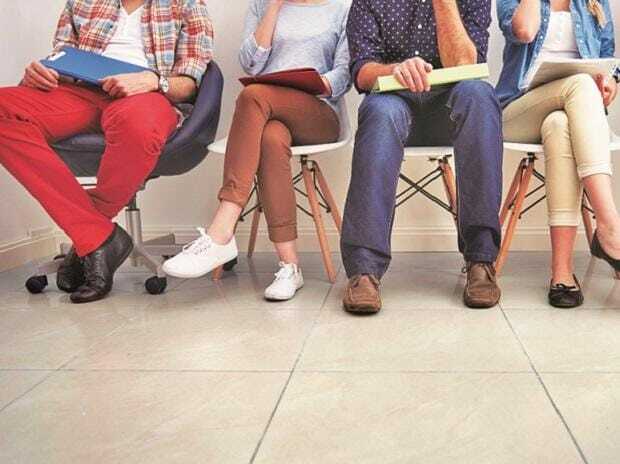 For instance, at IIT-Kanpur, core firms picked up 40 per cent of the total students placed in the first phase, compared to nearly 35 per cent last year. Similarly, at IIT-Madras, offers from core/research & development sectors stood at 346 offers, or 39 per cent, of the total offers, followed by information technology, with 290 offers, or 32 per cent, and 248 offers, or 28 per cent of the total offers, by analytics/finance and consulting. The success of the first phase of the final placement at the IITs is also due to a rise in recruitments in the initial days of the process. For instance, more than 200 offers were made on the first day when companies fought for the cream of the crop at IIT-Bombay, of which 183 offers were accepted; some students got multiple offers. On the second day, 237 offers were received, of which 210 offers were accepted. IIT-Bombay performed well, not just in domestic offers, but also in international ones from the US, Japan, the Netherlands, Singapore, Taiwan, and South Korea, with a total 89 international offers.